2016 seems to have started on a very positive note! 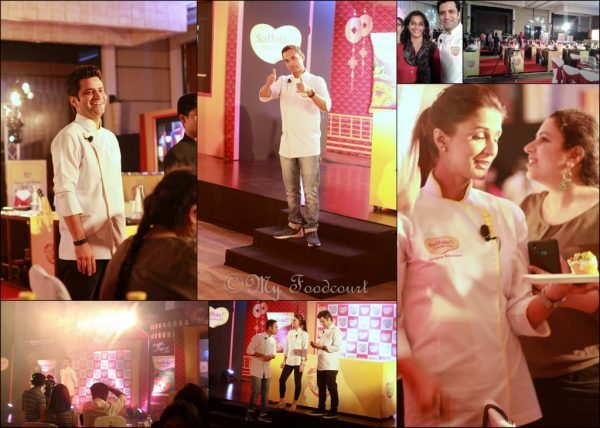 Betterbutter had organized ‘ India’s top blogger contest ‘.To participate we had to Curate a meal for two in a foodbook to make a complete meal. 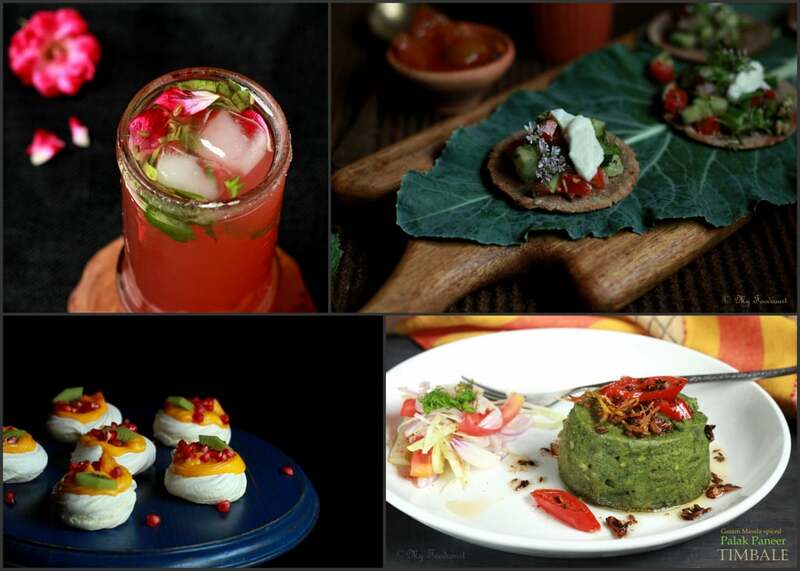 I participated and my foodbook menu included-Meetha Pan spritzer, Mini Thalipeeth Tostadas, Garam Masala spiced Palak Paneer Timbale and Meringue nests topped with Mango curd and fruits. As you must have guessed by now, I won the India’s top blogger contest! 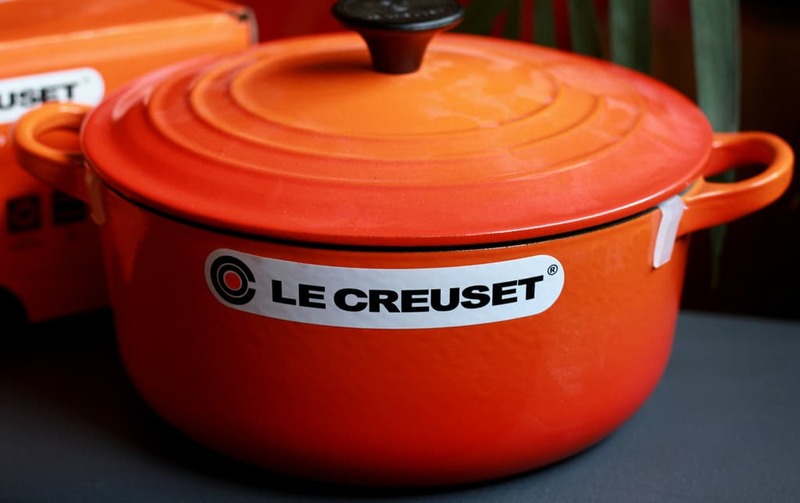 The prize is as awesome as the concept & contest- a gorgeous orange coloured Le Creuset Casserole! Thank you again Betterbutter for this! The recipes are already on the blog or you can check out the foodbook and some of my recipes here on betterbutter. 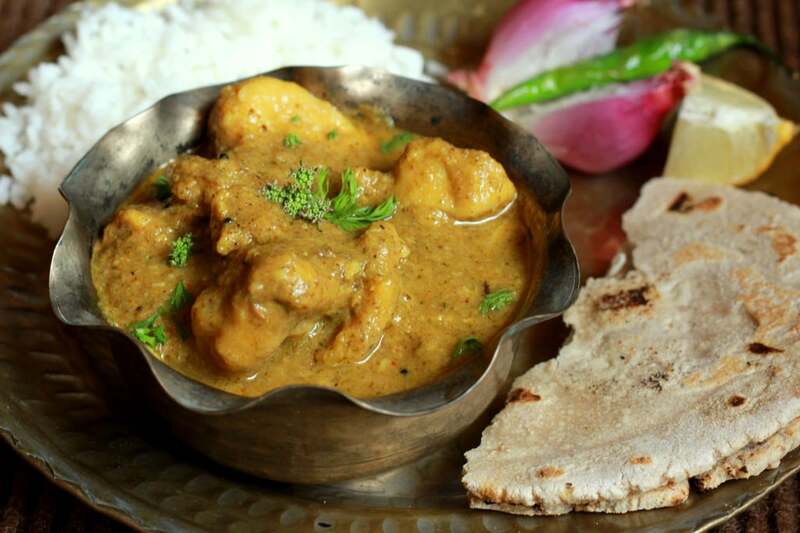 Khadya Jatra: I wrote this article for a Facebook group initiated by Saee of My Jhola– Angat Pangat, which re-discovers traditional Maharashtrian cuisine. We are starting with a new series on the group called ‘Khadya Jatra’ #APKhafyaJatra ,where a specialist of a particular sub-cuisine of Maharashtra will curate some background information about it and give an authentic recipe with step by step images.Members can then try out the recipe and thus get a chance to learn about the sub-cuisine and recipes. I am fortunate to be the first ‘specialist’ and Saee invited me to curate some information and a recipe about Khandeshi Cuisine.Thank you Saee for this,I am honoured. Spicy, fiery gravies with a thick sinful layer of oil floating on top (tarri) -that’s a trademark Khandeshi dish for you! Nashik (where I stay) borders the Khandesh region (some parts of present Nashik district are part of Khandesh),has a strong influence of the Khandesi cuisine and you can see specialties like Misal and Shev Bhaji dished out at every nook and corner. 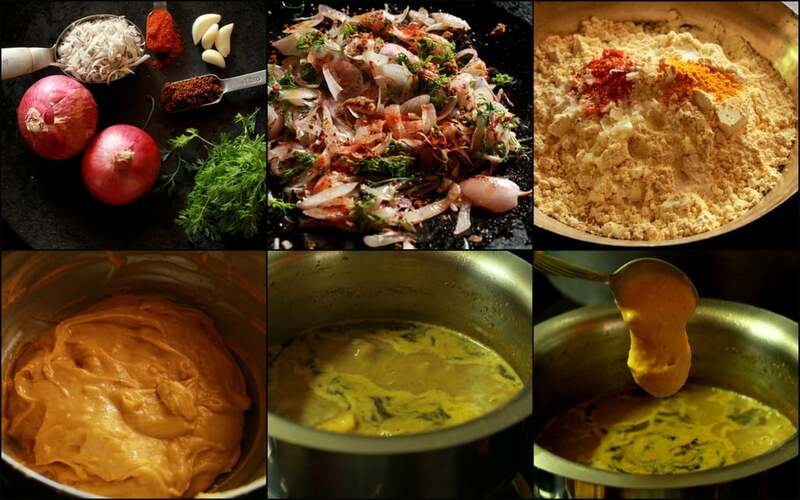 The quintessential Kala Masala forms the base of most gravies (rassa) along with dry coconut (khobra), onion and garlic. 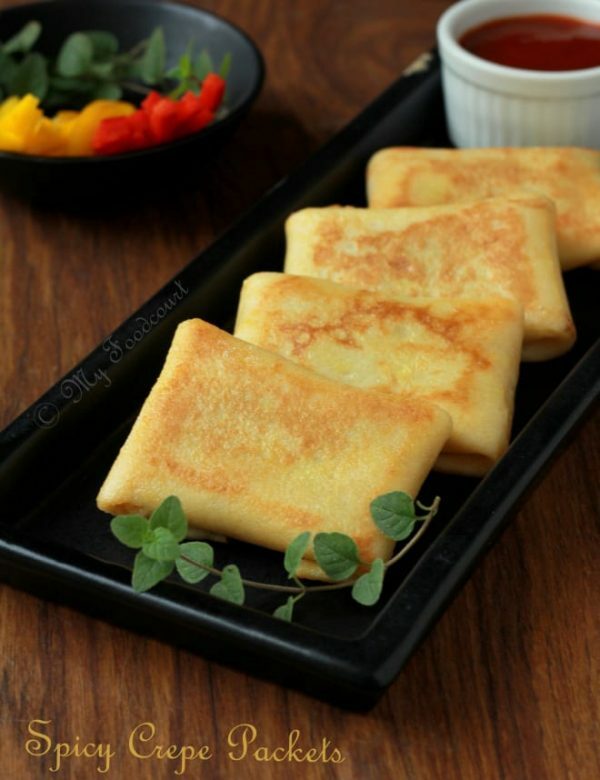 These are traditionally served with Bhakri or Rice. Peanuts and peanut oil is also extensively used for cooking. Peanuts, small green lavangi mirchi or fiery Red mirchi, garlic are roasted on an iron griddle or directly on charcoal, pounded in a wooden mortar and pestle (Badgi-musal) to make the famed Thecha. 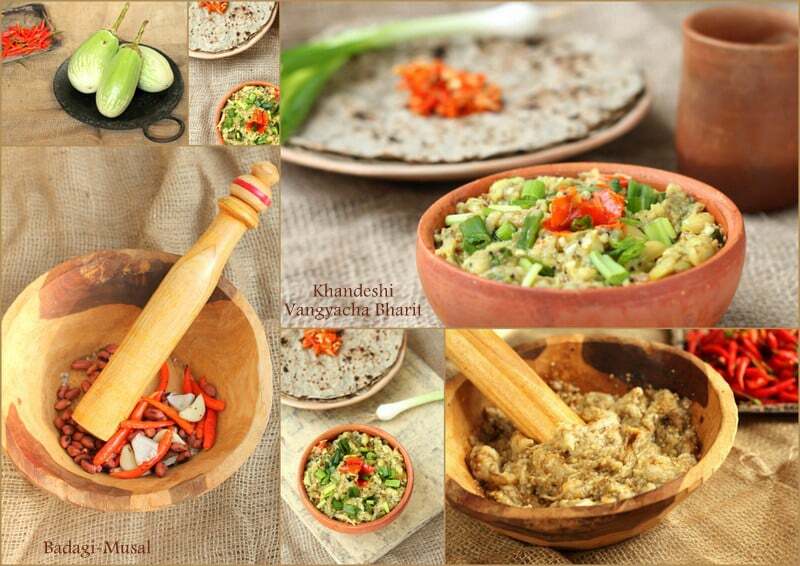 Apart from the staple Jowar Bhakri, Kalnyachi Bhakri- Chutney is very popular with most Khandeshi’s. Kalna is a blend of Jowar + Urad and is served with a spicy peanut chutney. The Khandeshi love for eggplants need not be stressed. Be it Bharit made using large green eggplants (Jalgaoni Vangi) or small eggplants stuffed with kala masala or mashed eggplants (Ghotleli Bhaji), every Khandeshi loves this vegetable! The Ghotleli Bhaji and Dal batti are part of many festivities in most Khandeshi households. Mande (Khandeshi version of Puran Poli) and Wheat Kheer are the popular sweets from the region. The hot summers are utilized to make different types of Papads and Vade (Valvan) like the laborious yet rewarding Bibde. It is simple, it is spicy, it is fiery, it uses Kalal masala gravy and it is absolutely lip smacking- ticking all the right boxes for typical Khandeshi, homestyle food. I have toned down the heat and oil to suit our taste; you can adjust it to yours. Heat 2 tablespoon oil on an iron griddle or in an iron wok. Add the onions and garlic and sautxe9 till the onions start browning. Stir so that the onions and garlic are sautxe9ed evenly. Add the grated coconut and sautxe9 till it just starts browning and starts emitting the aroma. Add the coriander. Stir around to mix. Take it off the heat and add the red chilli powder and kala masala. Grind the masala, in a blender, using very little water to a smooth paste. Heat the remaining oil in a saucepan/wok. Once they sizzle, add the ground masala and sautxe9. Cook till the water evaporates and the oil starts oozing out, taking care not to burn the masala. Add sufficient water (about 2 xbd -3 cups) to make a medium consistency gravy. Season with salt and let the Rassa boil for a few minutes. Drop spoonfuls of the batter in the boiling Rassa, working quickly so that all the dumplings cook evenly. Add little water to the bowl/vessel in which you made the dumpling batter, whisk and add that to the gravy so that it will thicken a bit. Note: If you want that layer of oil floating on top, use more oil and chilli powder. 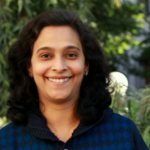 First would like to congratulate you on winning the betterbutter India’s best blogger award…..the most deserving entry….Secondly after going through this article I came to know about this unknown part of this Maharashtra cuisine ..Thank you for sharing this and wishing you many more success in life. Thank you Alka for your generous words. 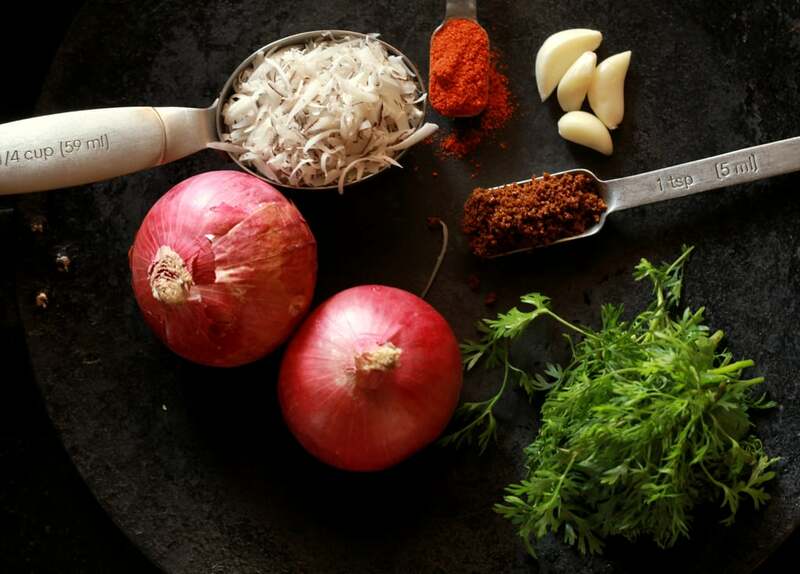 I am so glad the article helped you to get to know this Maharashtrian cuisine. Thank you Srivalli and so glad you enjoyed reading it. Wow, I met a blogger from Nasik,My hometown is Nasik and currently staying in pune…Glad to meet you in blogging world.